My other work that helped produce the present book, was my doctoral dissertation at the Hebrew University of Jerusalem: Creating the Modern Jewish Culture in Hungary; Josef Patai and his Múlt és Jövő (Past and Future) 1911-1944. Writing this thesis at first appeared an easy task; however, I soon discovered two major problems to tackle. 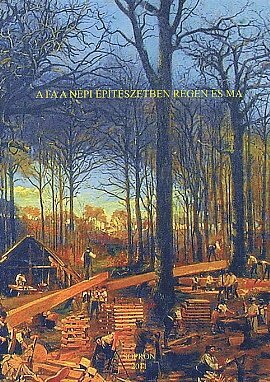 On the one hand, I had to absorb, digest, and then present the material in Múlt és Jövő in the absence of previous studies or methodology, since neither in Hungary nor anywhere else had there been many monographs dealing with the history of a periodical. On the other hand, I was amazed to realize during my research—aided also by the centenary of the major Hungarian literary magazine Nyugat (West,1908-1941)—that everything Hungarian-Jewish literature has produced, is represented, on a higher level and in more defined characteristics, in the non-Jewish, so-called universal Hungarian cultural sphere than in the self-representing Jewish one. Although—against my mentor’s considerable resistance—I was able to express this observation in my dissertation but, naturally, I could not tell the whole story via the history of a Zionist periodical. I’ve found the proper forum for it in this, separate monograph. The above realization supports and justifies the realization of Aladár Komlós, who was the first to attempt a monograph on Hungarian-Jewish literature, which the Holocaust would not let him complete. The definition in his essay, “Preface to a Jewish Literary History to be written” (Libanon, 1939: no.1.) is the starting point and the basic premise of any Jewish literary history. Truth to tell, there is a Jewish question both in a narrower and a wider sense; the wider one contains God, homeland, and love; everything in a Jew’s life. In this sense, “the surging of the Jewish soul” means not only the expression of national solidarity, but the manifestation of the total world of sensibilities and ways of looking at things that more or less characterizes the Jew, which comes equally to the fore in his relation to God, fellow humans, the state, nation, and his family. This soul evidently does not stop surging even if the writer is afraid to write down the name: Jew. The condition of the soul’s functioning is that to create, the writer bravely and deeply reaches into himself; this does not depend on whether the artist accepts his origin or finds ways to avoid admitting it, in other words, whether he is a good Jew or not; rather, it depends on whether or not he is a good artist. In this sense, it is possible that a Jewish apostate lyricist will produce poems that are more Jewish than those written by a tried and true, zealous Jew—provided the apostate possesses in large measure the determining artistic ability that allows him, in the act of creation, to remain faithful to the hidden hues and resonances of his being. Therefore, when it comes to Jewish literature, we must include every Jewish writer, regardless of how he has decided to deal with the problems of his origin. […] It’s the Jew’s social situation that’s different from other nation’s situations, it has been so for two millennia, and that in itself is quite sufficient to explain the peculiar characteristics of Jewry’s world of sensibilities and ways of looking at things. My monograph, first of all, is a social history—it cannot be anything else. It traces the path of Jews yearning to become Hungarians, across the pitfalls of hoping to assimilate or integrate into Hungarian society, all the way to the fiasco of the mighty attempt. The sensitive medium of literature is a most precise means of measuring identity; the true mirror in which the process undergone by Jews in Hungary be examined in the greatest depth. In its methodology also, my book picks its way across a border zone; it tries to synthetize the achievements of literature and historiography as well as those of sociology and psychology so that I could relate the complex story in as coherent and nuanced a way as possible. I relate the story of the interaction between Jews and non-Jews, which is also the story of Hungarian modernity; the Jews’ entrance into the intellectual-spiritual world of Hungary was inseparable from and simultaneous with the beginning of Hungarian modernity—the former was the main engine of the latter. That is why I use the method of “szétszálazás és újraszövés” or unraveling and reweaving (instead of Jacques Derrida’s “deconstruction”) to reveal the modernization of Hungarian culture whose achievements endure even if the Hungarian-Jews have been “ploughed under” in the plough-land of Hungarian culture. In this book I have validated all my accumulated experiences since 1988 when I revived the periodical Múlt és Jövő, and have intensified them since 1994 when I established the eponymous publishing house—something like a teacher would do by marching one lesson ahead of his pupils. As writer, researcher, editor and publisher, I’ve often descended into the depths for the Atlantis of Hungarian-Jewish literature and retrieved precious treasures to be saved. I have molded into a homogenous text all my studies, fore- and afterwords of the last fifteen years to make up the second, special part of the book—as opposed to the first, general part. I have organized the plans of the publishing house (we’re talking about more than 200 published books) with the goal of presenting, perpetuating and burning into the cultural memory of the world the enduring traces of Hungarian-Jewish literature—and life. If it had been ploughed under in Hungary, may its fertile seeds be scattered throughout the world! The book is complemented—sterophonically, as it were—by a 100-page photo-novel, so that it could appeal also to today’s increasingly more visual culture. Cégünk, a Bouchal Kft külföldi könyvtárak kiszolgálására alakult 1997-ben - idén leszünk 17 évesek. Ez alatt a tizenhét év alatt a világ számos könyvtárába szállítottunk Magyarországon és a környező országokban (Szlovákia, Ukrajna, Románia, Szerbia) a magyar nyelvű kiadóknál megjelent könyveket. Természetesen örömmel teljesítjük cégek rendeléseit is, valamint magánszemélyekét, éljenek bárhol a világon. Cégünk nem rendelkezik saját készlettel: ehelyett napi kapcsolatban áll Magyarország összes jelentős nagykereskedelmi cégével, számtalan könyvkiadóval és ezen felül könyvek kiadásával is foglalkozó magyarországi egyetemekkel, intézményekkel, múzeumokkal, alapítványokkal, önkormányzatokkal, s még sokáig sorolhatnánk. Ha könyvet keres, cégünk vállalja, hogy a megrendelt könyvet beszerzi és leszállítja Önnek. Ha a keresett címet nem találja az interneten, akkor is megrendelheti: felkutatjuk s amennyiben lehetséges, kerestetjük, beszerezzük és elküldjük címére. 1157 Budapest, XV. kerület, Erdőkerülő u. 12. Leggyakrabb szavaink: Könyvek Books Webáruház Bücher Bouchal Kft.